It’s hard to believe, but 2013 is behind us! Here’s a look back at the blog posts we’ve made since June on the Bitesize Irish Gaelic blog. We’ve covered a lot of ground, that’s for sure! You’ll find a mix of Irish language learning resources, trips to Ireland. and photos from Ireland. Some posts fall into more than one category, so expect some duplication below. Barriers to Fluency: Getting Around the Dam This post talks about the sudden roadblocks that seem to spring up when you’re learning to speak your new language, and discusses strategies for getting around them. Books and Fadas and Verbs…Oh My! A review of two excellent resource books: Leabhar Laghdaithe Bhriathra na Gaeilge/The Abridged Irish Verb Book by A.J. Hughes and Our Fada – A Fada Homograph Dictionary by Rossa Ó Snodaigh and Mícheal Ó Domhnaill. 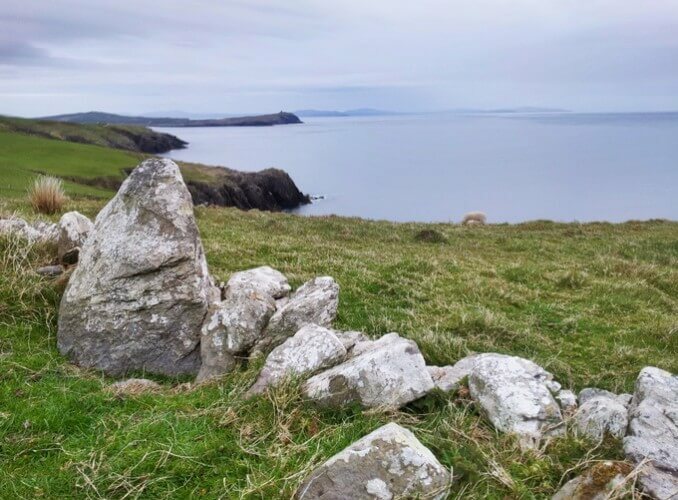 A Matter of Irish Gender This post discusses the concept of grammatical gender in Irish Gaelic, with tips for determining grammatically feminine nouns. So long! Saying “Goodbye” in Irish Gaelic A few simple ways to say “goodbye” in Irish. Bitesize Lesson Highlight: Professions and Occupations This highlight of one of Bitesize’s vocabulary lessons will give you the basics for saying what your, or someone else’s, occupation is. Includes audio. Bitesize Lesson Highlight: Asking a question in Irish Gaelic This highlight of one of Bitesize’s vocabulary lessons will show you how to ask, and answer, a simple question using the verb “to be.” Includes audio. Bitesize Lesson Highlight: Where are you from? This highlight of one of Bitesize’s conversation lessons teaches you how to ask where someone comes from, and how to reply if the same question is asked of you. Includes audio. Color Me Irish A look at the different ways in which the Irish languages uses color terminology. So You Think IRISH is Hard? English speakers often complain that Irish spelling is “illogical” or “difficult.” This post uses Gerard Nolst Trenití’s classic poem “The Chaos” to illustrate why it’s ENGLISH they should be worried about! Video Guides: How to Type the Irish Fada on Your Keyboard: Step-by-step instructions for iOS, OS X, Windows and Ubuntu. Jigs and Reels and Hornpipes, Oh My! A brief primer (with audio examples!) of three common types of Irish session tunes: jigs (including slides), reels, and hornpipes. Ancient Irish Harmonies in Northern California Featuring one of North America’s only Irish Gaelic choral ensembles: Santa Cruz, California’s Cór Ainglí. A Moment of Calm Along the River Shannon Two lovely videos of the River Shannon in Midsummer. Halloween, Old Irish-Style This post talks about the ancient Irish origins of Halloween, and suggests some alternative ways to celebrate the holiday. Traveling to Ireland: Traveling Lean; Traveling Light. How a classic American over-packer learned to travel light on her journey to Ireland! Off to Ireland! Completely unexpectedly, Audrey received one of the 2013 Gaeltacht Summer Awards to travel to Donegal and study Irish for a month! Here you’ll find her reaction to receiving the award and her goals for her month of study. An Irish Odyssey: Irish in the Fair City At the beginning of her month-long stay in Ireland as a recipient of a 2013 Gaeltacht Summer Award, Audrey takes a look at the state of the Irish language in Dublin. Donegal Diaries 1: Back to Oideas Gael! Audrey returns to Oideas Gael, in Co. Donegal, in her pursuit of conversational fluency. Donegal Diaries 2: A Fortnight in Glenfin Audrey spends two weeks in the central Donegal highlands, on an intensive Irish language course presented by Oideas Gael. A Day in Derry Audrey spends an afternoon in Northern Ireland’s beautiful walled city. How’s the Weather? Summer in Ireland One thing Irish summer weather ISN’T is boring! Here’s some idea of what to expect. 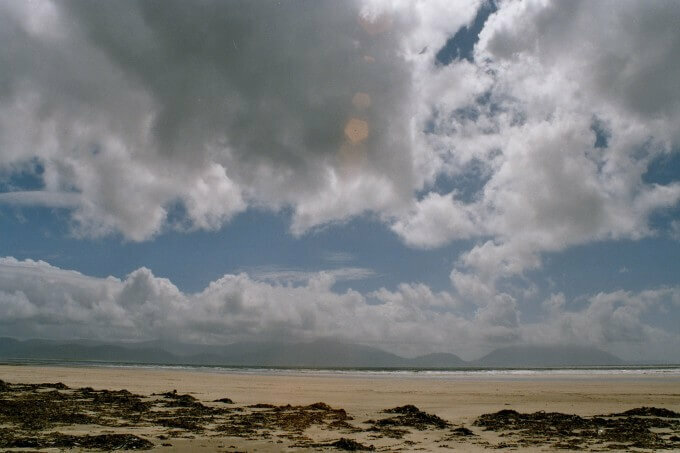 A celebration of summer 2013: a summers in Kerry, Ireland. With Part 2 with video. 2013 Deireadh Seachtaine Gaeltachta: San Francisco’s annual Irish language immersion weekend celebrates 15 years.